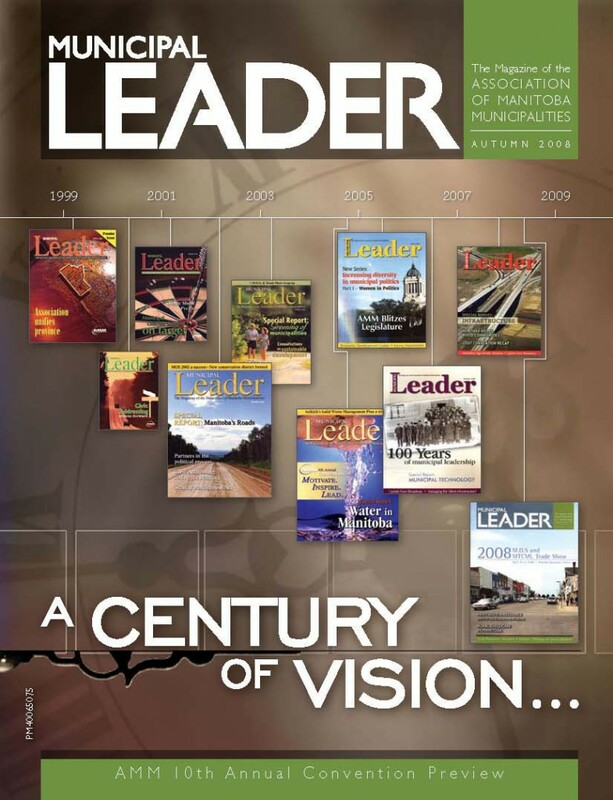 The fall issue of the Municipal Leader traditionally contains the Convention Preview and the fall, 2008 issue is no exception – we have a full preview of our most exciting event to date! However, there are a few added items this issue as well. You’ll notice it is a little different magazine from the front cover – pull it open to see an image of every Leader cover ever published, right back to the inaugural issue in 1999. If that isn’t impressive enough, we also have included a special 10th anniversary pullout section. Our regular features are not taking time off – they are all here as well. And our submitted topics range from healthy communities to public libraries to power smart programs to an innovative tool called an E-Index. Enjoy!